Pregnant every time you see her, yet she never will give birth. What is she? 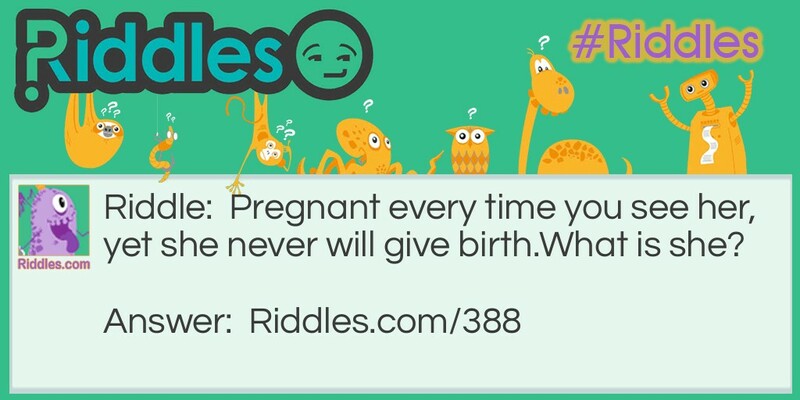 Pregnancy Alert Riddle Meme with riddle and answer page link.